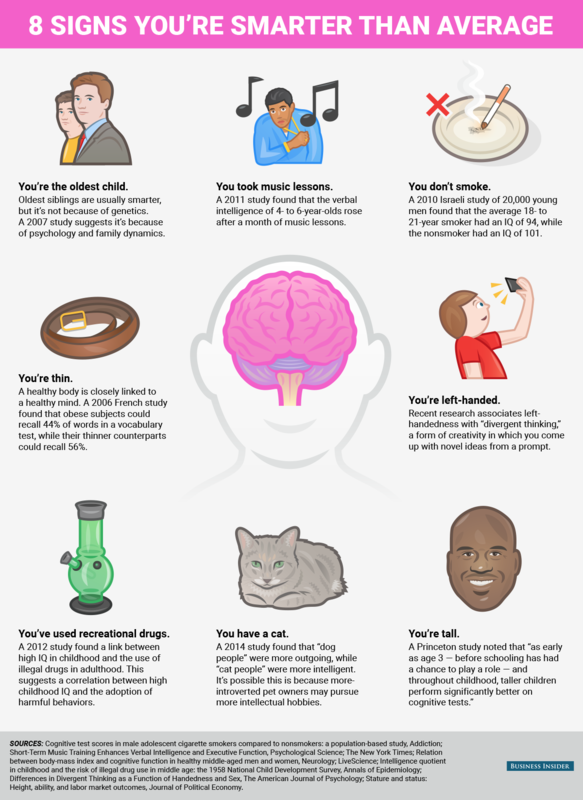 This infographic from Business Insider shows some of the behaviors and traits that research has suggested are associated with a higher level of intelligence. Of course, as Business Insider points out, remember that correlation doesn’t equal causation. Buying a cat, taking up recreational drug use and losing weight are unlikely to really boost your IQ.